Mantua (or Mantova, in Italian) has been the chosen safe haven for a number of playwrights and composers over the centuries. When Shakespeare's Romeo is banned for killing Tybalt from Verona, he finds refuge in this Lombard city just 40 kilometers away; when Verdi is threatened by Austrian censors for setting his artfully anti-monarchist “Rigoletto” in France, the famously republican composer saves the work by moving it to Mantua, where the Duchy and reigning noble Gonzaga family had long disappeared and could no longer be threatened by Verdi's subversive plot. There's a reason that Mantua has come to represent asylum, both for fictional characters and their creators. This small but vibrant city has been protected by a ring of artificial lakes for almost 1,000 years, built during the 12th century as part of the fortification system. Three of the lakes, Lago Superiore, Lago di Mezzo, and Lago Inferiore, still encircle the remarkably intact Medieval historic center. Because of this defensive moat, Mantua was both isolated from the outside world and immune to modern development for centuries, earning it the affectionate nickname in Italy of La Bella Addormentata (Sleeping Beauty). 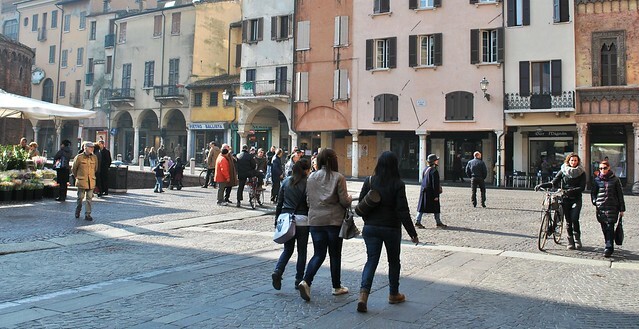 Today, the only escape you'll find in Mantua is from the tourists. 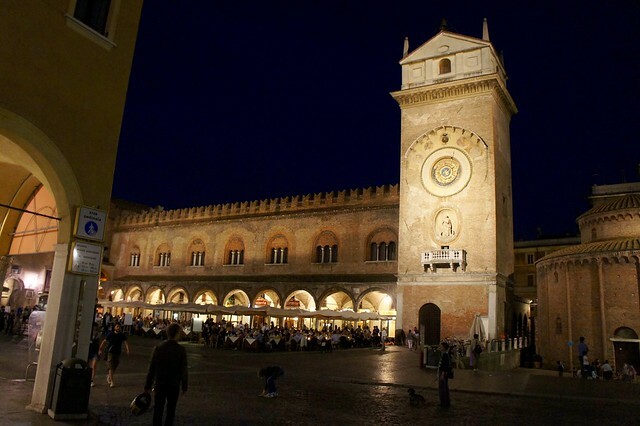 Largely overlooked by the masses who instead opt to stop at Lake Garda or Verona when traveling between Milan and Venice, Mantua is a quietly elegant Renaissance city and UNESCO World Heritage Site. The wealthy and influential ruling Gonzaga family left behind grand palaces and churches which frame the thriving contemporary cultural and gourmet scene. 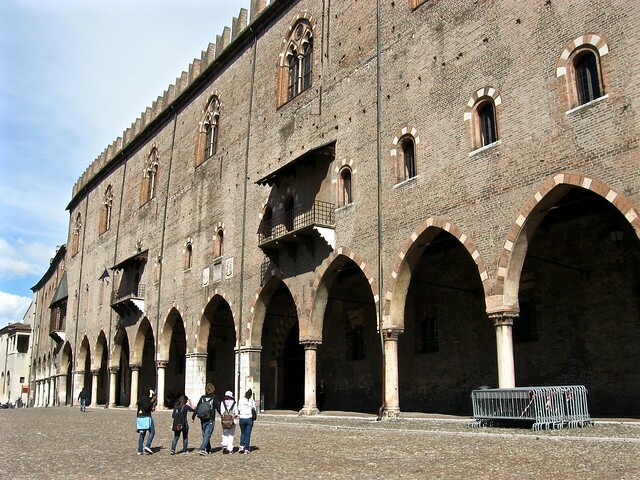 Relatively close to a number of northern cities, including Verona, Bologna, Parma, Modena, Venice, and Milan, Mantua is a perfect day trip or stopover between any of these destinations. This enormous residence is not a single palace, but a labyrinthine complex of buildings, including a castle and basilica, courtyards, gardens, galleries, and more than 500 rooms (one of which was just discovered in 1998). Almost a village in its own right, for 400 years this palazzo was the home of the Gonzaga family, the dukes of Mantua who ruled until the 18th century with an absolute power akin to that of the Medicis in Florence. Most of the complex is closed to the public, but there is still enough on view to easily fill hours: highlights include Andrea Mantegna's frescoes in the Camera degli Sposi (Wedding Room), tapestries based on sketches by Raphael, a mirror-gallery, and works by Pisanello and Perugino. Where the Gonzaga's Ducal Palace is an austere symbol of this family's wealth and influence, the decadent Palazzo Te, built as a summer residence for Duke Federico (and, it is said, his paramours) in the 16th century, is an homage to sumptuous excess. Designed by Renaissance artist and architect Giulio Romano, the palazzo is decorated with some of the most eye-popping frescoes in Italy, most famously the Olympian banquets in the Sala di Psiche, the Sala dei Cavalli's stylized horses, and the fantastical giants in the Sala dei Giganti. A visit to this immense Mannerist masterpiece includes dozens of decorated salons and loggias, the external garden and fishing pond, and the grotto, where guests would relax under gushing fountains surrounded by the ornate marine-themed decorations in marble, mother-of-pearl, and sea shells. 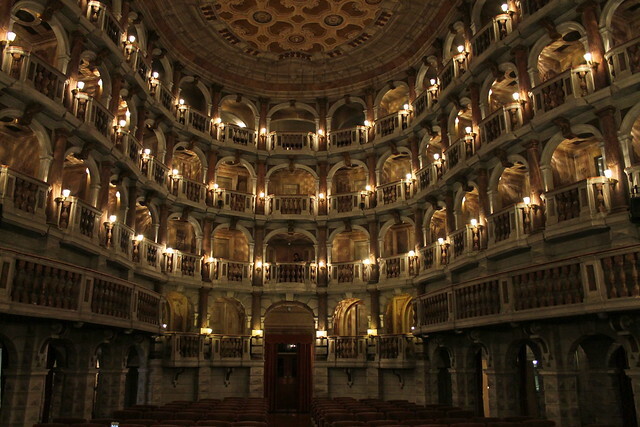 Just weeks after this Rococo theater was inaugurated in 1767, thirteen-year-old Wolfgang Amadeus Mozart played a concert here, after which his father, Leopold, wrote, "In all my life, I have never seen anything more beautiful of its kind." Visitors today are equally stunned by this small jewel-box of a theater, with its ornate frescoes and red velvet seats tucked behind a stately Neoclassical facade. In a city so important to the history of opera - it was here where Monteverdi premiered L'Orfeo, considered to be one of the earliest operas - it is fitting that the theater is equally grand. Though the theater is not open to guided tours, it still has an active music and theater season, so you can buy tickets to an evening concert and enjoy the venue along with the show. For a slice of Mantua's famous sbrisolona, a traditional crumbly cake made with wheat flour, corn meal, ground almonds, and butter, stop at the Pane al Pane bakery on Via San Giorgio. Break off a chunk and dip it in sweet wine, just like the locals. As Mantua's historic center has been rimmed in by water for most of the past millennium, the downtown has remained particularly compact and walkable. Take a stroll down Corso Umberto I and Via Verdi for window shopping the high-end boutiques, and the cobblestoned side streets for funky, unique shops. 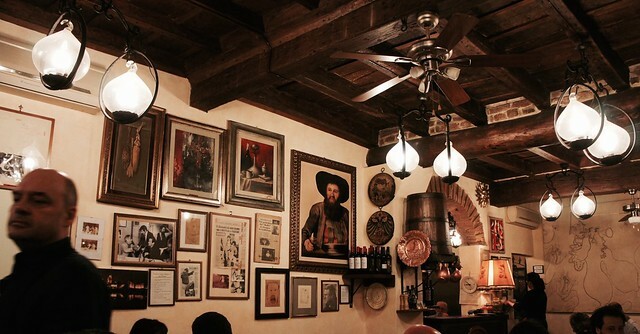 We had a fine meal of some Mantovana classics at the Osteria dell'Oca, including lo stracotto d’asino (be forewarned: donkey is a local specialty) and cotechino (a type of cooked pork sausage). 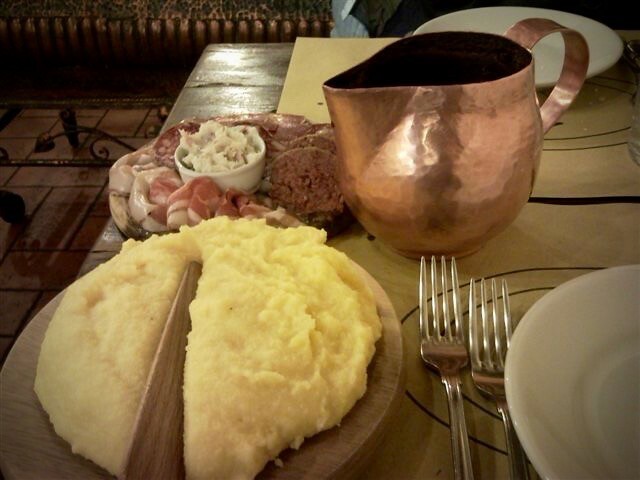 Another good choice for a taste of Mantua's excellent local cuisine is Taverna Cinquecento (Via Giuseppe Bertani, 78), where you're more than likely to dine on pumpkin ravioli or gnocchi, risotto, freshwater fish, or beef. For fine dining, Aquila Nigra in town serves a mix of traditional and contemporary Mantovana specialties, and offers a tasting menu if you're not sure that you want to commit to donkey. Otherwise, a short distance away between Mantova and Cremona, Dal Pescatore Santini boasts 3 Michelin stars and the best of French-influenced Italian cuisine.